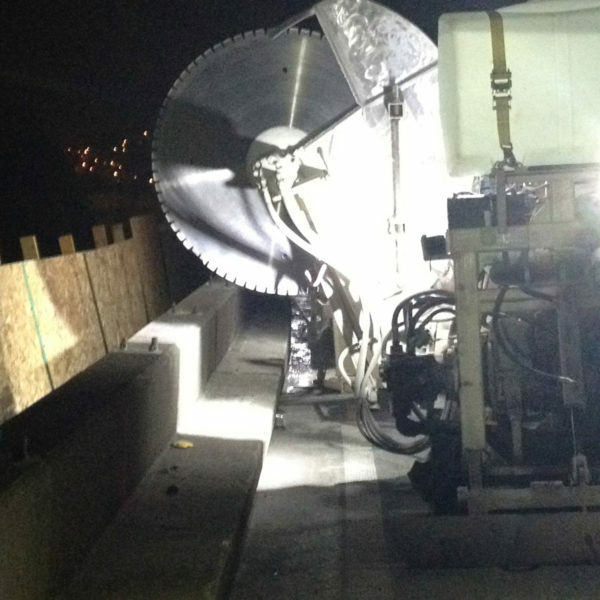 Carbon fiber laminate used to offset a new concrete barrier that created additional loads on this bridge. 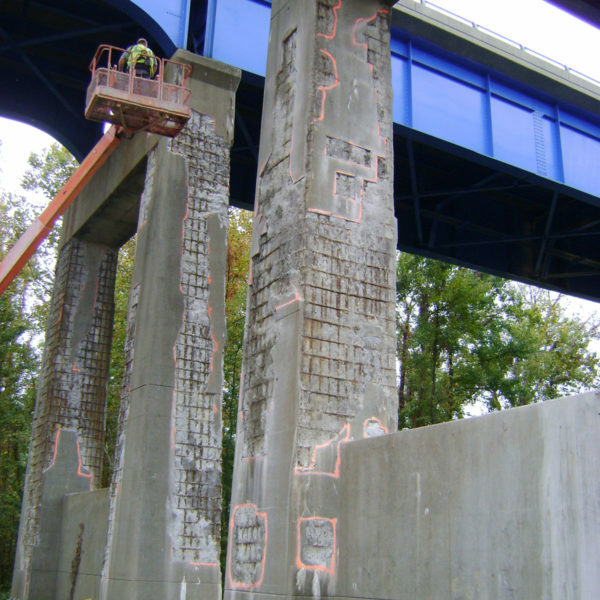 This major bridge had over 60 corroded concrete columns. 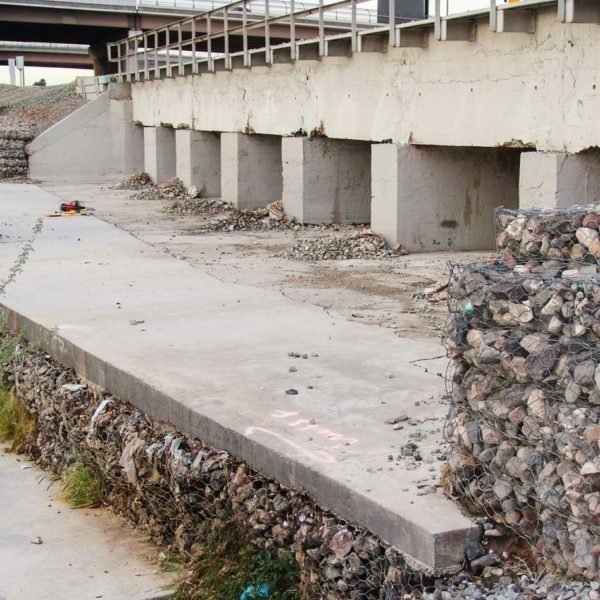 Load weights, vibrations, and extreme weather degraded this concrete bridge.